In case you haven’t caught on by now, my family and I are obsessed with goat cheese. Because it’s goat cheese, duh. Chop the bell pepper into small pieces and set aside. In a bowl, combine goat cheese, garlic, tomatoes, basil, oregano, parsley, thyme, paprika and chives. Mash together until the goat cheese has turned slightly pinkish-red and everything is evenly mixed. 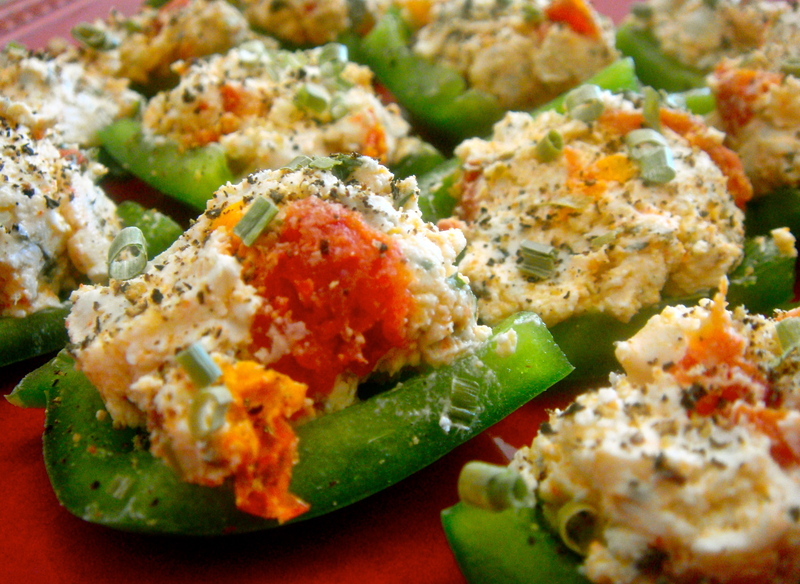 Using a teaspoon, plop goat cheese onto each pepper piece. Sprinkle with black pepper and garnish with more chives. Eat right away, or store in fridge until ready to serve.